Read María’s Spotlight Q+A with Roulette here. The composer on sax and voice with ensemble in two sets: first the premiere of Revés/Rêves: Dreams of a Departed Maestra and then the Magdalena Album Release show performed by DiaTribe, the group with whom Maria Grand has been playing since 2015. First, “Revés/Rêves: Dreams of a Departed Maestra” is a tribute to Noemí Lapzeson, a contemporary dancer María Grand studied with during her childhood and adolescent years. The inspiration for this piece comes from Combines, a solo dance piece Noemí performed alongside dancer Celeste Dandekar in 1972. The two solo performances were projected in split screens from each other; the piece will refer to that by using a split stage and playing around the notions of creating with and against each other. Noemí’s intimate knowledge of movement shaped María’s understanding of art; now with her legacy in mind, this piece explodes the notion of what music is to include movement as an instrument and use our placement on stage to create intentional spaces of sonic expression. María once sent Noemí a postcard of New York City – magic happened, and the postcard sent pictured a place where Noemí had lived, unbeknownst to María. It’s this telepathic connection in art that the piece celebrates. The second part of the evening will be the album release of María Grand’s band DiaTribe: Magdalena. In “Magdalena“, the guiding intent is to explore modern family relationships through the lens of Egyptian and early Christian myths, connecting them to the pioneering work of family therapist Virginia Satir. Proceeding from the conviction that “healing families heals humanity,” this set of music is contained within a feminine non-hierarchical power structure. All these pieces were recorded in January 2018. This is the first time since recording the album that the pieces will be presented in public in their entirety. María Grand was born in Switzerland in 1992, to a Swiss mother and an Argentinian father. 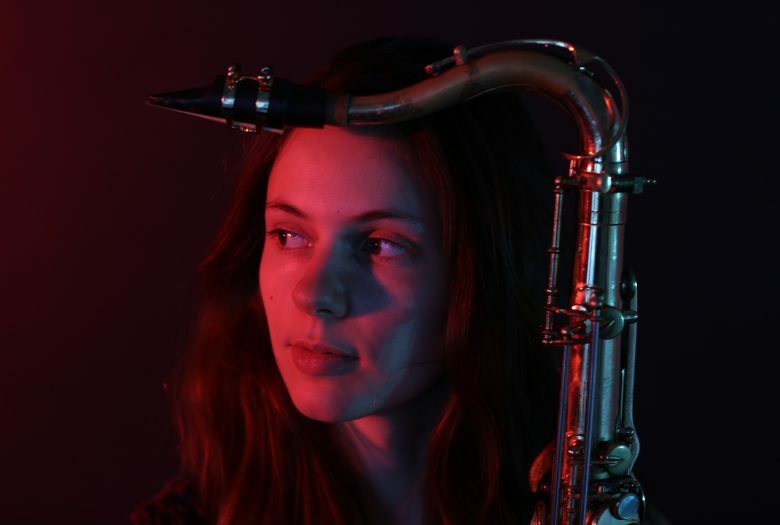 Since her move to New York in 2011, she has become an important member of the city’s creative music scene, performing extensively in projects with musicians such as Vijay Iyer, Craig Taborn, Jen Shyu, Steve Lehman, Aaron Parks, Marcus Gilmore, Jonathan Finlayson, Miles Okazaki, etc. Her debut EP “TetraWind” was picked as “one of the 2017’s best debuts” by the NYC Jazz Record. The New York Times says “on TetraWind, Ms Grand unfurls a teetering logic. [..] She is both measured and frank, often venturing into gentle provocation”. María is a recipient of the 2017 Jazz Gallery Residency Commission and the 2018 Roulette Jerome Foundation Commission. She can be heard on Steve Coleman’s albums “Morphogenesis” and “Synovial Joints”. She was deemed a “revelation” by Jazz Magazine in 2016; AllAboutJazz said of her saxophone playing that it is “full of passion and sophisticated phrases and turns”, while the NYC Jazz Record says “Grand’s aching saxophone has the richness of the great breathy tenors of jazz history—Coleman Hawkins, Ben Webster, Gene Ammons.” Vijay Iyer recently picked her as one of 5 musicians to watch for in 2018 in an article published on sfjazz.org – he said of her that she is “a fantastic young saxophonist, virtuosic, conceptually daring, with a lush tone, a powerful vision, and a deepening emotional resonance, María is poised to move this music forward with grace, strength, and passion.” María has performed across genres, appearing with mezzo-soprano Alicia Hall Moran in her Breaking Ice piece premiered at Prototype Festival in NYC and MassMoca; she is a member of the Doug Hammond quintet, as well as with RAJAS, an ensemble led by Carnatic musician Raj- na Swaminathan, and Ouroboros, led by Grammy Award winner alto saxophonist Román Filiú. She has toured Europe, the United States, and South America, playing in venues and festivals such as the Village Vanguard in NYC, La Villette Jazz Festival in Paris, Saafelden Jazz Festival in Austria, Millennium Park in Chicago, the Blue Whale in LA, IloJazz in Guadeloupe (FR), and many others. This commission and performance is made possible by the Jerome Foundation, with additional support from the Selvage Fund at the East Bay Community Foundation.